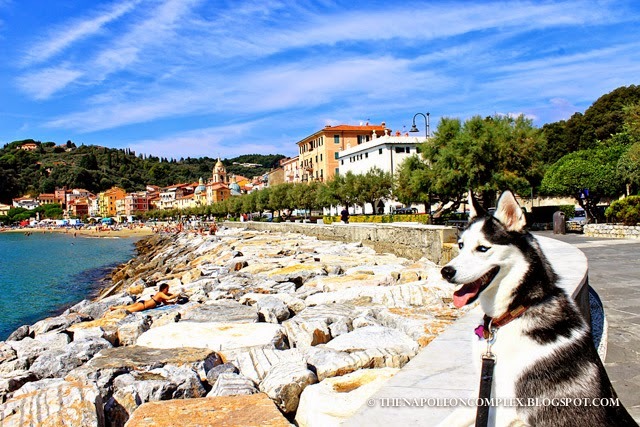 Back in September, Jaime had to go for work to a little beach town in the Italian Riviera called Lerici. In fact, I mentioned it when I wrote my post on Cinque Terre. 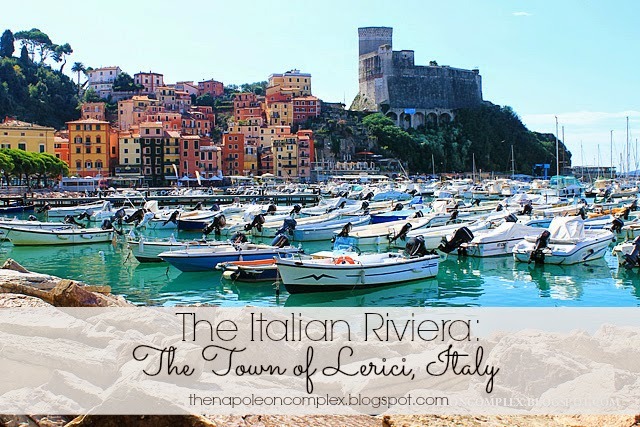 Here’s what I knew about Lerici: nothing. On the map I saw it was close to Portovenere, a much more well-known seaside town, and Cinque Terre. With my love for Cinque Terre, that was more than enough to convince me to tag along. But, as it tends to happen with Italian towns, the less well-known they are, the more they tend to surprise you and charm the pants off you. Lerici was absolutely no exception. 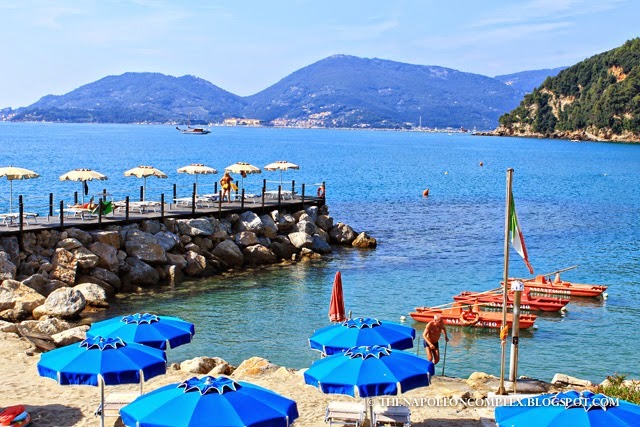 It is right in the middle of the famed Golfo dei Poeti (Gulf of Poets), offers splendid beach views from wherever you are, and amazing seafood. Of course I knew it was a beach town, but I did not for a minute think we’d be lucky to have a beachfront hotel. But we did! 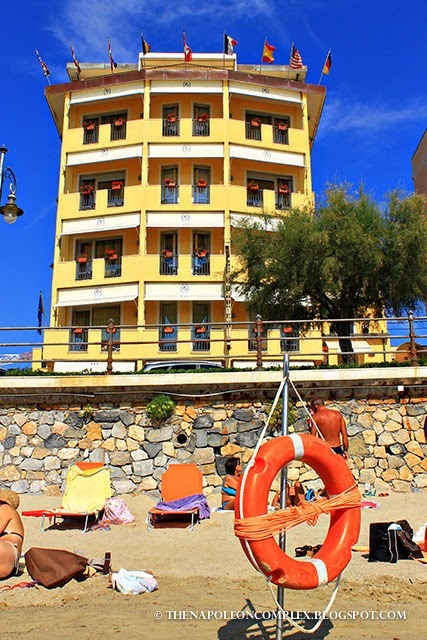 To be fair though, we were there at the end of the season and pretty much every hotel in Lerici is beachfront. 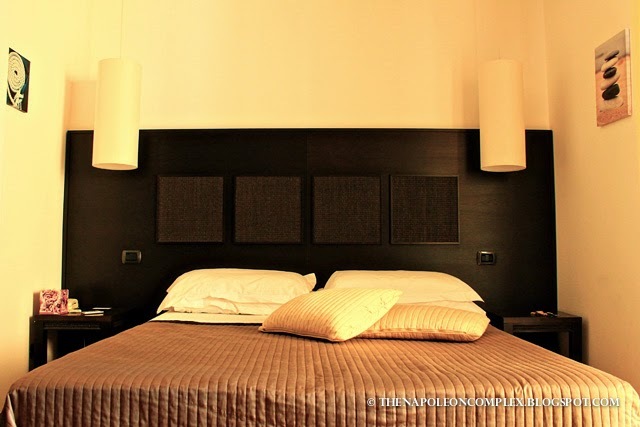 We stayed at the Hotel Florida, a charming 3 star hotel that really deserves at least 4 stars. Most rooms had their own balcony with splendid views of the beach, a breakfast buffet was included, and best of all, it’s dog-friendly! 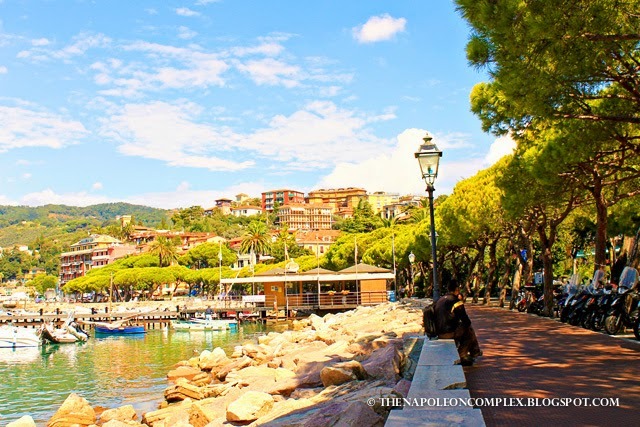 While Jaime was working, Arya and I explored Lerici and the neighboring town of San Terenzo (when I say neighboring, I mean the boardwalk literally unites these two little towns so its less than a kilometer walk). 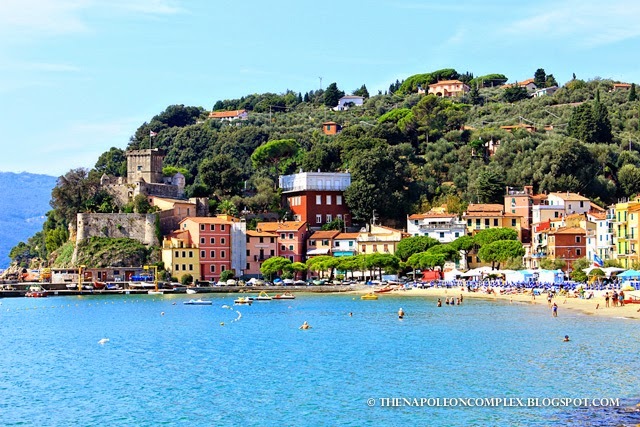 We walked to the main attraction of the area, the Castello di Lerici, and climbed up to its terrace to enjoy the stunning panorama. We didn’t go inside the castle because its supposed to have some small dinosaur exhibit for kids. The view from the castle terrace. Can we take a moment to appreciate the cute old man enjoying the beach with his walking stick? I wanna be like him! This was the neighboring town of San Terenzo, with its beach and castle. The star of the show stealing the spotlight! The Blue Mile in the Gulf of Poets. I also got to enjoy the beach, which wasn’t as great as Sardinia’s beaches, but still way better than anything in Florida so I definitely cannot complain. The beach directly in front of our hotel was Venere Azzura, a Blue Flag beach. 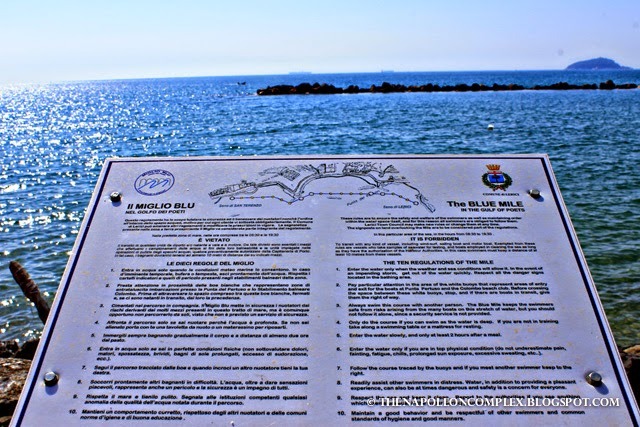 If you don’t know about the Blue Flag program, it is basically a certification that a beach receives if it meets the standards set by the Foundation for Environmental Education (FEE) for cleanliness, safety, water quality, etc. 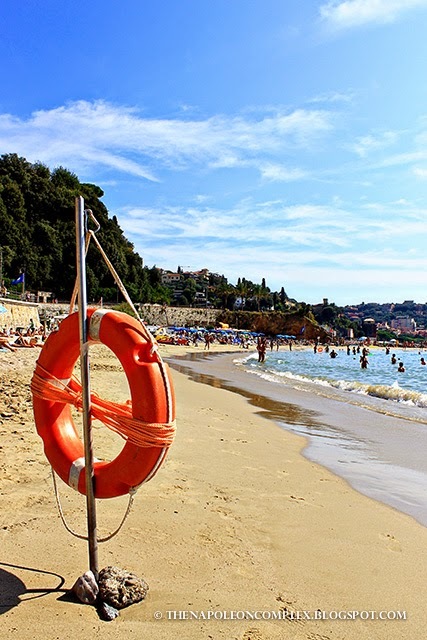 Countries become members on a voluntary basis, so you won’t find any Blue Flag beaches in the U.S., for example, but in Italy you will find thousands. Basically, if you want a guarantee that a beach in Italy is any good, just go to a Blue Flag beach. That’s our hotel from the beach! 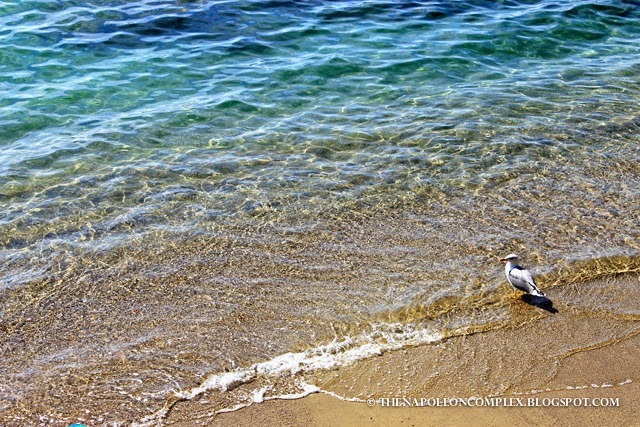 This little guy was enjoying that beautiful beach. 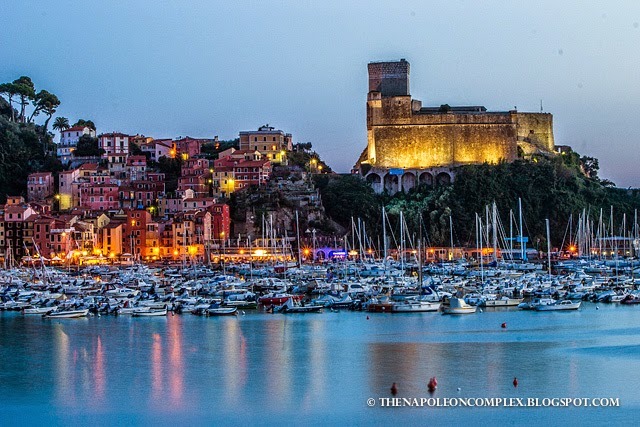 At night, Jaime and I would go out to eat at the restaurants in Lerici, which offered some amazing seafood at better prices than you would find in the neighboring villages of Cinque Terre. 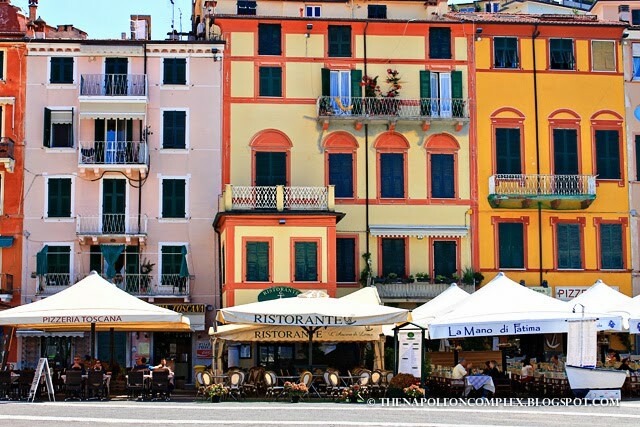 Most of the restaurants offered pretty much the same things, with the traditional Ligurian pesto or salted anchovies, pasta with seafood, and a number of different fish options. Our favorite restaurant was by far Il Frantoio, but we also enjoyed Ristorante del Molo and Ristorante le Vele. We even took a seafood break one night and ate at La Piccola Oasi, a very charming restaurant that specialized in meat. The chef was a very cool guy that’s cooked for some very famous rock bands, including the Rolling Stones! He has pictures and autographs displayed all over the restaurant. After I spent all my time taking pictures, Jaime just blew me away with ONE picture! 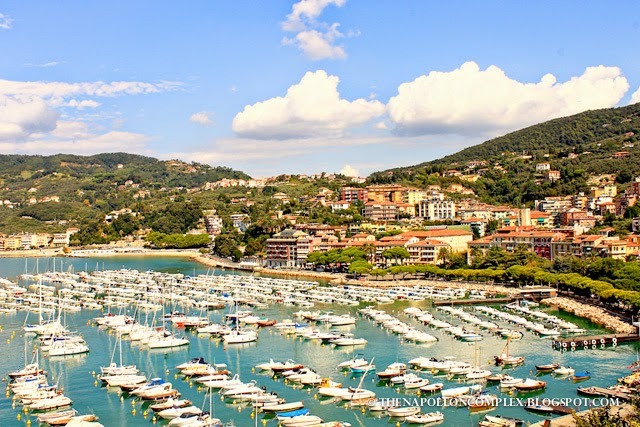 Overall, Lerici was a very nice break from the city, especially when you come so late in the season like the end of September, when everything was very quiet and relaxing. It’s also a good base from which to explore Portovenere and Cinque Terre, without paying the Cinque Terre prices. 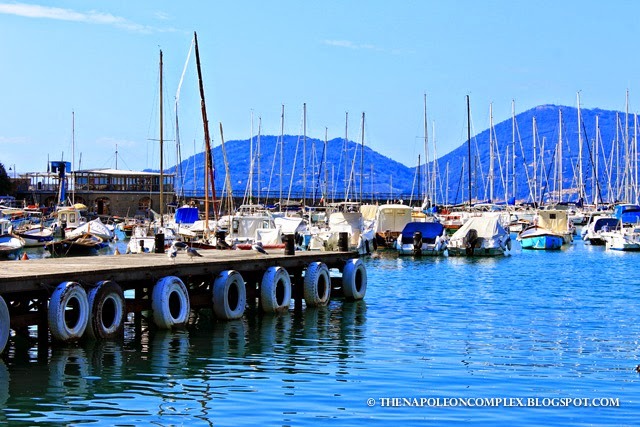 Don’t be like us and stay at La Spezia, when you can stay at this beautiful little paradise instead! This looks amazing! Have you read Beautiful Ruins? It so reminds me of the book. And your hotel definitely looks like a 4 star….what a find! Haha, I haven’t read it but maybe I’ll check it out! 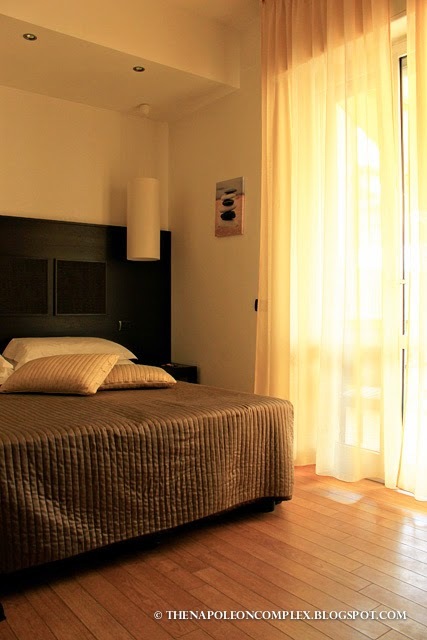 I really loved the hotel, especially since it’s so difficult finding quality traditional hotels in Italy!